Date: May 4 2019, 8 a.m. - 1 p.m. 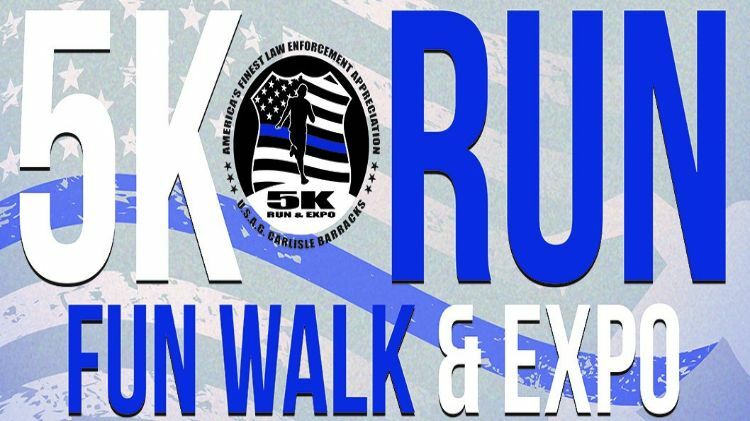 The Police 5K and Expo is open to the public and is being held on our certified course at The U.S. Army Heritage and Education Center, 950 Soldiers Drive, Carlisle, PA 17013. The expo portion of this fun-filled event will feature nearly 30 displays with information, a DJ, food, K-9 Demonstrations, kid's activities and even free child ID's from the Cumberland County Sherriff's Office! PA State Police will also have a helicopter and horses onsite. PA State Game and Fish Commission and Probation/Parole will be there. Cumberland County SRT, HAZMAT, Mobile 911 center and Forensics will be on display as well as other agencies. Come see all the Police vehicles, Fire vehicles and equipment on display. Mission BBQ will be giving each runner/walker a BBQ slider sandwich. Medals in different age categories will be awarded. The Expo starts at 8 a.m. and the run starts shortly after the brief ceremony to remember fallen officers scheduled for 10 a.m. The event lasts until 1 p.m. Contact 717-245-4343 for more information. Registration gets you a free t-shirt!